St. Cloud, MN – The St. Cloud Rox Baseball Club is excited to announce it has launched a brand new Charitable Foundation called the Rox Project S.A.V.E. Foundation. The Rox, along with the Foundation’s Founding Partners, introduced and unveiled the new community initiative at a press conference/luncheon on Wednesday, March 27 at Legend’s Bar & Grill – Holiday Inn in St. Cloud. At Wednesday’s press conference, members of the Rox organization and the Foundation’s Founding Partners represented the Foundation and introduced it in front of a full house at Legend’s Bar & Grill Holiday Inn. Rox Field Manager Augie Rodriguez, Co-Owner and Vice President Scott Schreiner and Corporate and Community Partnerships Director Jim Loria – who is also the Project S.A.V.E. Foundation Administrator – all spoke to the crowd in attendance, giving background and meaning behind the inception and vision of the brand new Charitable Foundation. 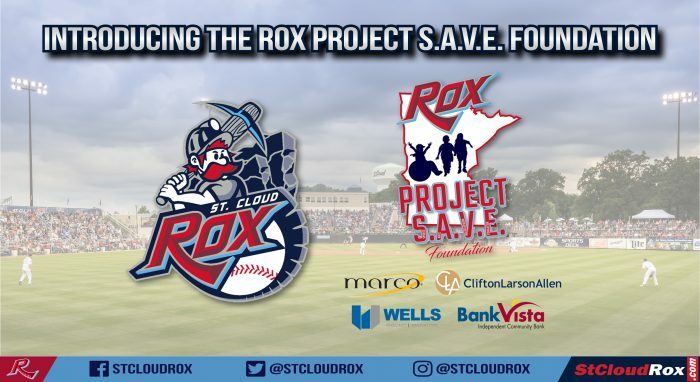 Project S.A.V.E., which is a certified 501(c)(3) Foundation, will be administered by the Rox organization to serve as a “Teammate” to the many communities throughout Central Minnesota. The Foundation will include four Founding Partners: Marco Technologies LLC, Wells Concrete, CliftonLarsonAllen LLP and BankVista that will help support the Rox and serve as the Advisory Council. The Foundation Board of Directors will be made up of the current Rox ownership group. Project S.A.V.E. will raise funds from corporate partnerships, private donations and through a select number of fundraisers and special events on a yearly basis. Its main purpose will be to provide grants, donations and scholarships in support of youth related programs and activities involving Sports, Arts, Volunteerism and Education. To learn more about the Foundation, visit www.roxprojectsavefoundation.org or contact Jim Loria, Administrator of the Project S.A.V.E. 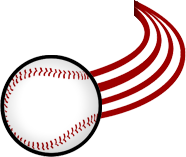 Foundation by phone (320-828-7048) or e-mail (jim@stcloudrox.com).